Performing a temperament test is not difficult. I highly recommend you take the time for this. In the last post we discussed some of the steps toward avoiding mistakes when picking a dog from a shelter. Here is the next step. Once you have found a dog that you are interested in there are a series of tests you can preform that will let you know if this dog may truly be right for you. You are looking for a dog that greets you in a friendly, outgoing manner. Avoid any signs of aggression, shyness or a dog that ignores you. Next ask the shelter staff for a quiet area to take the dog. If you have a choice of an indoor area this would be preferred. Once there, ignore the dog for a minute or two and watch his behavior. What you are looking for is a dog that approaches you. Jumping can be corrected later. Dogs that ignore you are of concern. A dog that shows any signs of shyness may be a dog that you want to avoid. At this stage a dog that shows any sign of aggression would definitely be avoided considering you are doing nothing at this point to provoke or intimidate the dog. After a couple of minutes bend down slightly in front of the dog and make eye contact. What you are looking for is a dog that approaches you. 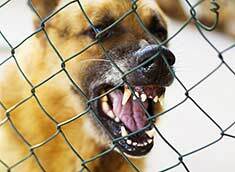 What you are concerned with is a dog that moves away or shows any signs of aggression including barking at you. Approach the dog if he is not already near you and grasp his collar. 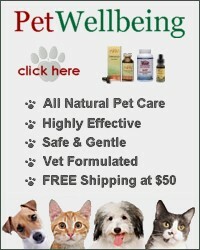 Gently pet the dog several times on the back beginning at his neck all the way to his tail. Pause a few seconds in between. Does he enjoy this or does he become uncomfortable? This test will show you how much physical contact the dog has had and how much he will tolerate. Making the decision to add a dog to your life is and should be a major decision. There are many things to consider. Most people who make the decision to rescue a dog from a shelter are well-intentioned. 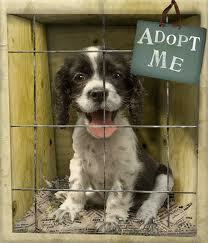 However many people adopt the wrong dog for the wrong reason and find themselves in a situation they cannot handle. This is one of the leading causes of high return rates at shelters. Lets talk about some of the mistakes that are often made when choosing a dog. When you have made a decision to adopt a dog you should sit down a make a plan. Write down what your requirements are for your lifestyle. *Are you looking for a puppy or an adult? You may be interested in finding an older dog that will already be house trained or you may be interested in raising a dog from puppy-hood. *Is the size of a dog an issue? A small dog or a dog that doesn’t require a lot of exercise may do better if you live in an apartment or don’t have a large yard. 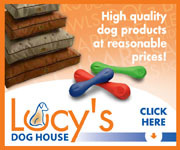 You may be looking for a bigger dog for home protection or may prefer larger breeds. *Have you considered the costs involved in a large dog vs. a small dog? Smaller dogs are more economical. However this may not be an issue. *Are you looking for a low energy dog or high energy dog? You may be an active person that is looking for a dog that can keep up with your active lifestyle. 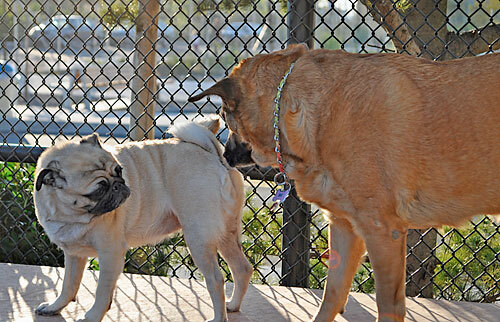 This is the one of the most important commands you will ever teach your dog. It doesn’t matter what else your dog knows, if he doesn’t come when called he’s always at risk of being lost, injured or worse. Unfortunately many dog owners systematically teach their dogs not to come. The second scenario is the owner who will repeatedly call the dog and when he finally does come he is punished. This will cause the dog to come slower or not come at all anticipating punishment if they do return to the owner. Another mistake owners often make is calling the dog for an unpleasant action. If the dog has soiled the floor and the owner calls the dog to receive punishment, they are not likely to come the next time. 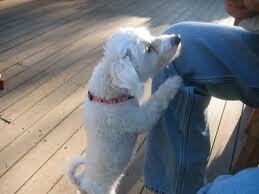 When teaching a dog “recall”, you are creating a “space” of control between you and your dog. First the dog needs to be taught to come on a leash or in a confined area. Once this is accomplished you can go to a long line and begin teaching distance. After this you can begin off leash training. If you do not follow through or punish your dog for not coming, you will basically be back at square one. This story sounds like something out of a movie: A freak accident leaves a cyclist unable to move, so his dog takes over. Paul Horton, 57, wound up at St. David’s Rehabilitation Hospital after he failed to negotiate a seemingly little jump from trail to paved road near Lake Travis. “I had probably done that 100 times, 200 times,” said Horton. But on the morning of Oct. 30, he did not. “I went over the handle bars and landed on my head on the concrete … and life changed,” said Horton. Life changed because he was now paralyzed from the chest down. Horton lay motionless for 45 minutes. With no one in sight, he realized his four-year-old golden retriever, Yogi, who had been along for the run, was still by his side. “I expected him to behave like Lassie and run down to the police station and tap out my location in Morse code or something,” said Horton. Yogi did not do that, but did something just about as impressive. Horton’s neighbor, Bruce Tate, recalls walking down Mountain Trail with his wife when they were met by Yogi. “Yogi is a quiet, happy dog, he’s never noisy at all, but he was barking furiously to get our attention,” said Tate. This has been an ongoing debate for as long as I can remember. Everyone has an opinion. The major debate on whether to spay or neuter your dog and the health risks and benefits involved. Another major point that is not touched on as often is how spaying and neutering effects behavior. If you talk to rescues or shelters the number one answer on spaying and neutering your pet is “yes”. This comes from the attempt to lower pet over-population. The majority of people who adopt dogs from shelters or rescues are looking for companion dogs. 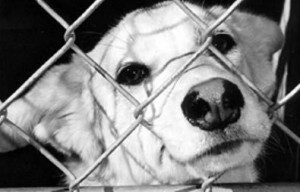 Some dogs that are adopted from these institutions will become working dogs but most dogs will end up pets. Then we have breeders. Hopefully the goal of a good breeder is the better the standard of a breed. Breeding should not be a money-making venture and if you are a good breeder, you will soon find out that the time and trouble involved in producing high quality puppies is not for profit. There are many health risks and advantages to spaying and neutering your dog. Instead of focusing on these points, consider the other advantages. It’s not always just to keep your dog from producing. There is at least one in every community. 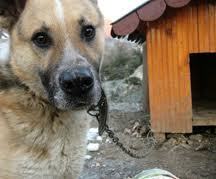 A dog left chained to a doghouse, tree or tethered to the ground. The dog may have water and food but sometimes the water is just out of reach. You can see the worn impression in the dirt around the dog where it’s packed the ground down from constant pacing and attempting to get exercise. 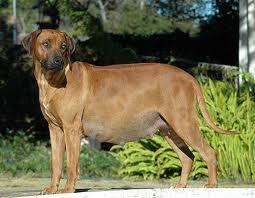 Its ears may be raw or partially chewed off from flies, its body covered in fleas and often skinny. How do these dogs end up in this situation? Many times a family acquires a new puppy however they are not prepared for the actions of the puppy. The puppy starts jumping on the children, biting and exhibiting destructive behavior. Instead of seeking help from a qualified trainer, it’s easier to deposit the puppy outside. Once in the backyard out of sheer boredom the puppy continues its destructive behavior chewing hoses, tearing up plants and digging. The best solution is of course to tie the dog up. 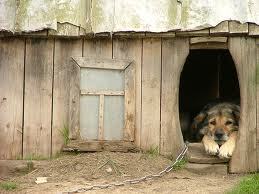 In the best circumstances a caring family will ensure the dog has shelter of some sort. However because the puppy is now isolated, the behavior becomes worse. Soon compulsive barking starts. Every time they attempt to feed the puppy he jumps more, bites more, and barks more. When they do let him off the chain he runs hysterically around the yard from lack of exercise and they see this as uncontrollable behavior. Eventually any attention stops and the puppy becomes abandoned. As the saying goes, “Out of sight out of mind”. This is only one scenario. There are many more.